Dan Sullivan was raised in the small town of La Grande, Oregon. He spent his youth enjoying great adventures exploring the endless roads, streams, and trails of the Blue Mountains. Soon after graduating from Oregon State University, however, he discovered the rest of the world. He has traveled extensively through Europe, Asia, Central America, Mexico, and the Caribbean. 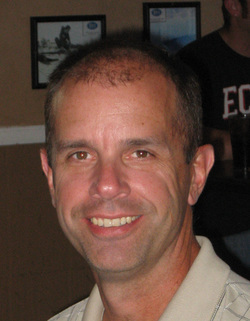 Dan lives in Boise, Idaho with his wife Amy and their two children, Abigail and Kevin. A magnificent read that introduces the reader to an incredible account of one the most important events in American History. The Greatest Patriot provokes the reader's curiosity as it poses the question "what if?" Sullivan is Clancy-esque in his use of historical details, creating a world where Dealy Plaza was not the end, but only the beginning; a world in which President Kennedy makes an unspeakable, yet necessary, decision to save his country and the world. Sullivan successfully spins a suspenseful plot, delighting the reader with splendid historical nuggets woven into an intricate story of intrigue and mystery. Fans of Dan Brown, Clancy and Grisham will be enthralled by this thought-provoking drama that plunges them into an astonishing alternative view of history. 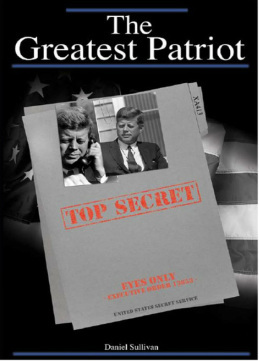 The story follows the life of JFK after the "assassination," the struggles of Hal Rumsey, the secret service agent who guarded the president, and the journalist, Mike Mahoney, who must choose whether or not to expose the staggering truth. Will the truth be revealed or buried with the few who were entrusted to keep the secret of America's Greatest Patriot? From the opening paragraph to its extraordinary conclusion, The Greatest Patriot captivates the reader with the desire to know if this might just be how it really happened. As the 50th anniversary of JFK's assassination rapidly approaches, Sullivan stimulates the imagination with a world where Camelot lived on. 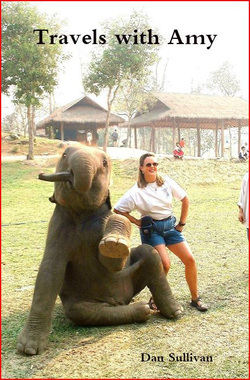 A fun and unforgettable fifteen month romp around the world with Dan and Amy Sullivan. From Downtown San Francisco to the back country of Thailand, from fifty thousand feet above the Pacific to one hundred feet below it, come along as they experiance the trip of a life time, traveling by car, plane, boat, and elephant. Join them as they meet thousands of people from Dublin, Singapore, Lisbon, Chaing Mai, and Paris, Missouri.